Big cutting power in a small package. When you need a portable pruning saw to take down small branches and limbs up to 2" in diameter, reach into your pocket and grab the PS 10 folding pocket saw from STIHL. 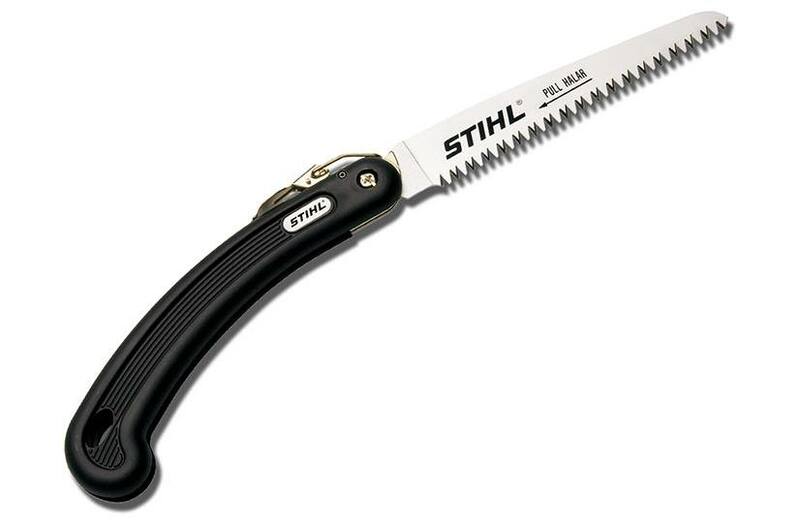 This pruning saw features a convenient folding design, straight blade and hard chrome-plated finish. It includes a tapered ground blade to improve precision and reduce pinching. It's the perfect choice for your back pocket.